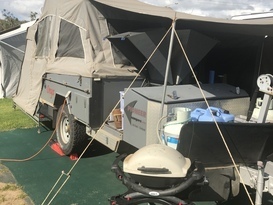 The Pioneer Onyx is a great example of Australian camper trailer design. 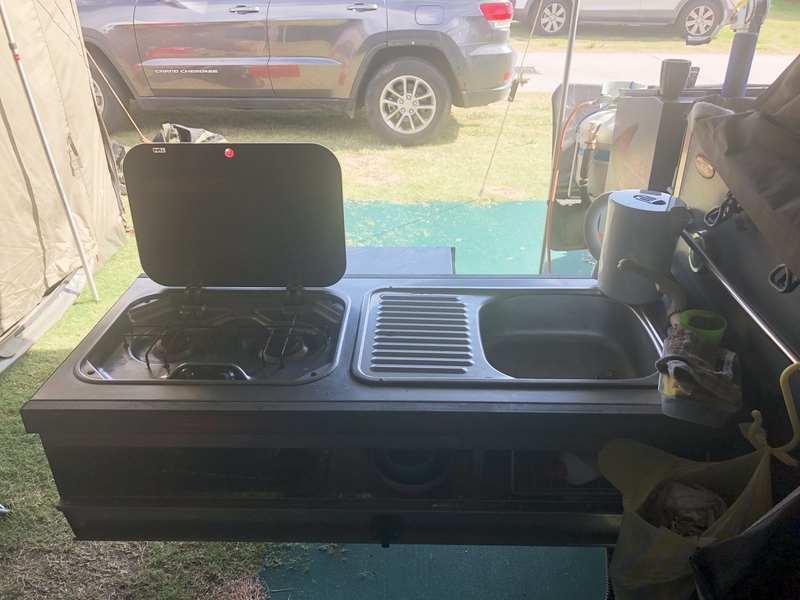 It is an extremely solid camper with a no frills attitude. It can go anywhere a 4x4 can go and is designed for the Australian terrain. 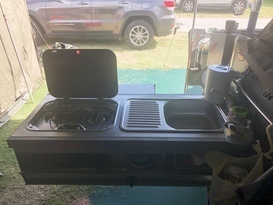 This camper is setup to go anywhere, however we primarily use it in a park where there is a 'long-drop toilet' available. 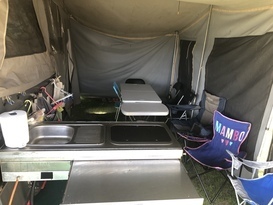 With an expanding family our trailer is designed for 3 children and can accomodate another 2 adults if required. 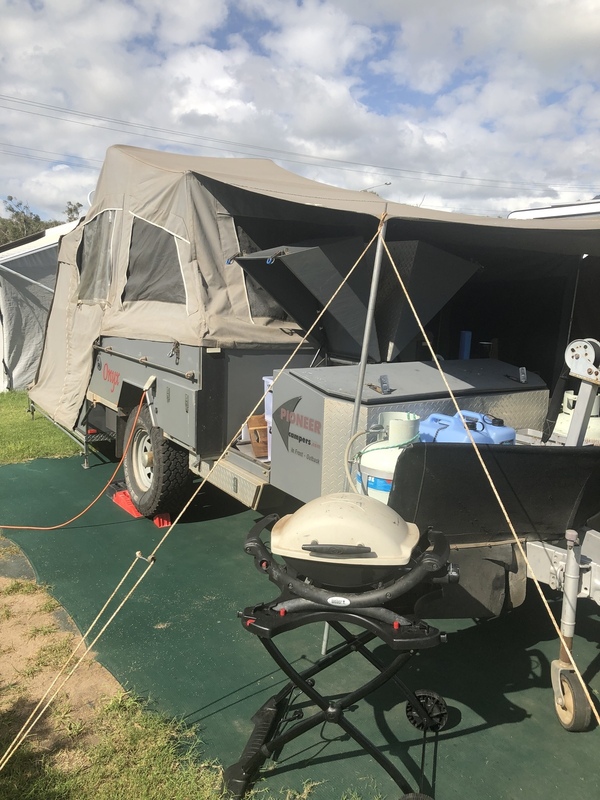 We have been all over Australian in the camper and it has served us well. I invite others to utilise our home away from home in the beautiful Australian wilderness. 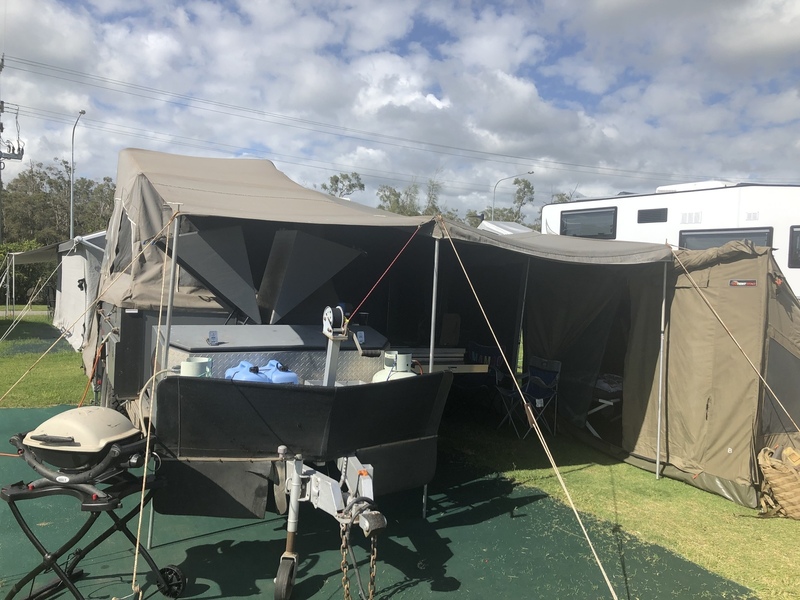 The Owner will drive/tow the Hard-floor Camper Trailer to a location of your choice within a certain distance from the storage location, and set everything up for you. 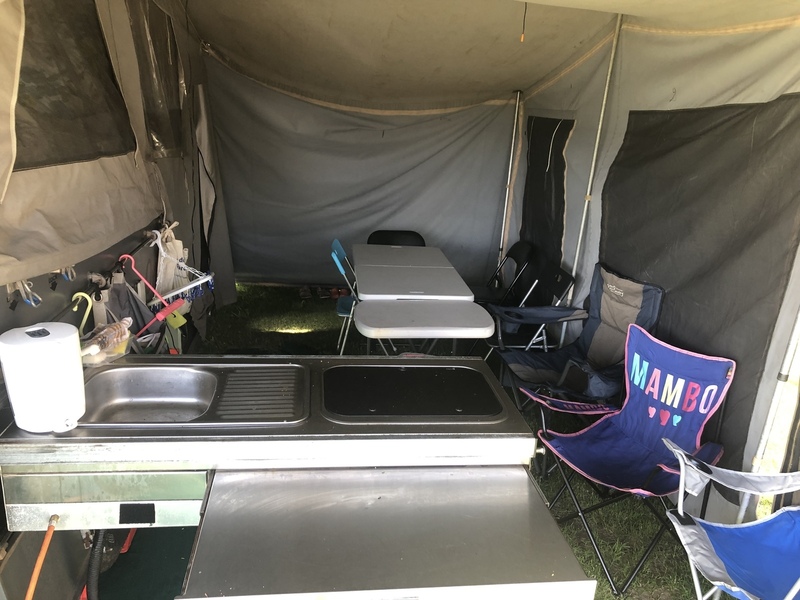 - Sleeping arrangements includes: 1 queen bed, 1 x Bunk Stretchers (excellent for small children), 1 x Stretcher, self-inflatable double sized mattress. This can accommodate 5 adults and 2 children at a stretch. 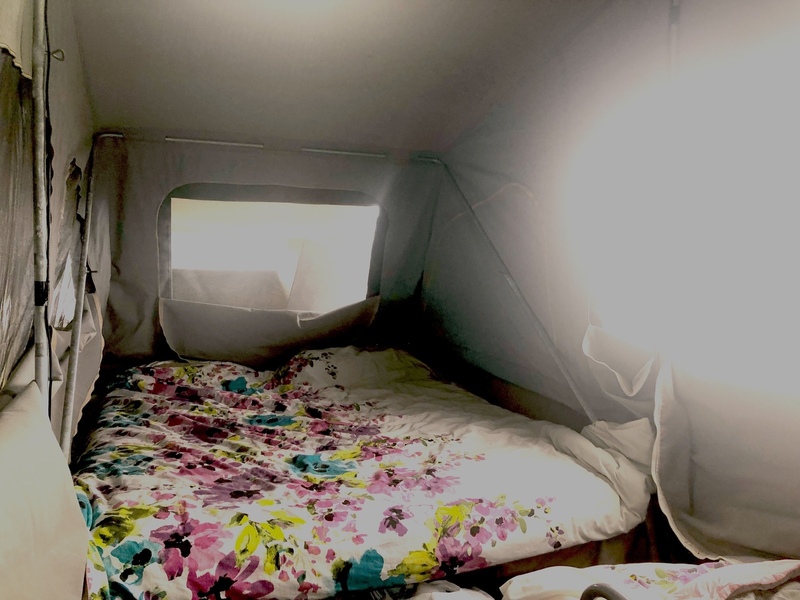 - Can include sleeping bags and/or linen if required to these persons.